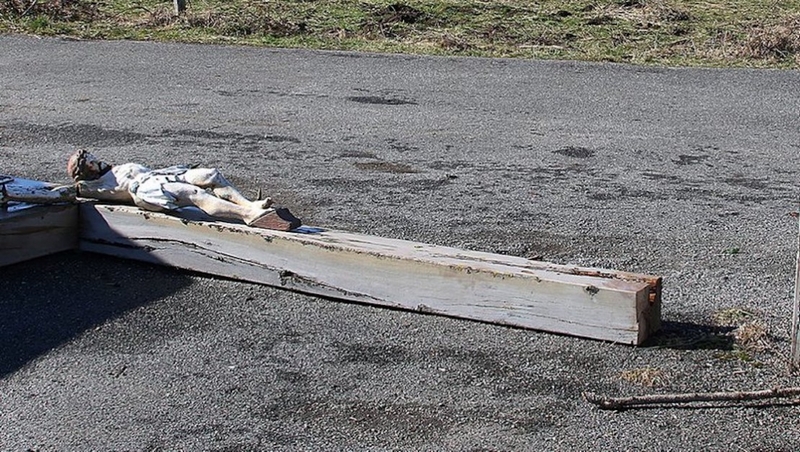 A wooden crucifix located between Hèches and Avezac-Prat-Lahitte, in the municipality of Labastide, was discovered vandalized on February 5th. The perpetrators cut the cross one meter off the ground and left it there. When it fell, the Christ figure's arm was broken. The mayor ordered an investigation.